Through this blog I communicate - and put up for discussion - some of my ideas regarding the need to create new meanings of human learning. A recent expedition to planet Earth found this interesting piece of late Anthropocene rock art. Earth is the planet where it is believed that our Galactic ancestors, Homo sapiens, once lived. The extraordinary piece of rock art depicted with this brief communication was found in a region on Earth called Provence in a country known as France. It dates back to around the year 2000 CE of the Earth calendar. It expresses the idea of 'love' as a binding force that keeps female and male members of the species together. The rock painting predates by about 500 Earth years the great mass extinction to which Homo sapiens and many other species succumbed. While life is still present on Earth, it does no longer include intelligent life. The Homo sapiens species is believed to have suffered from disharmony between its capacity to think rationally and its ability to at the same time make adjustments to its behavior in accordance with rational thought. Around the time of our rock painting there had been awareness of impending doom and warnings had been given, as can be deduced from a review article on "Has the Earth's sixth mass extinction already arrived?" that appeared in 2011 (Earth calendar, CE) in the journal Nature, one of two leading scientific journals held in high esteem by the scientific community among Homo sapiens. Apparently, existing knowledge about the risks of irreversible human impact on the environment failed to result in fundamental change to patterns of behavior among the majority of our ancestors. We owe our own existence and subsequent evolution to the development of rudimentary forms of space travel coinciding with the rapidly evolving Sixth mass extinction. It allowed a small community of Homo sapiens to escape the environmental disasters that hit planet Earth, initially establishing a small extraterrestrial community and eventually migrating to our own corner of the Galaxy. More research is still needed to further validate the above findings. Twenty years ago I started walking. Yes, I had been walking before, but on Monday, 9 August 1993, at 6 a.m., while working in Harare, Zimbabwe, I started out on a walk wearing a pedometer, intent on walking at least 100 km that week and continue to do so every week after, accurately measuring my achievements. It’s a practice that has changed my life. It also possibly saved my life on some crucial occasions in 2008 and 2010 when a perfect state of health was essential to overcoming, and completely healing from, serious medical afflictions, which might otherwise have taken my life. Indeed, leading an active life, and in general adopting lifestyles and eating habits that remain attuned to the conditions under which we historically evolved, has been shown to contribute to good physical and mental health. Walking has, for me, become an important ingredient of the care I take to stay healthy. Today, 7305 days or 20 years later, I have walked a total of 104,988 km. That’s an average of just over one hundred km per week. When the weather cooperates, as it currently does in southern France, I easily walk weekly distances varying from 150 to 180 km. At other times of the year, or when conditions of work interfere with my walking habits, I may walk less than a hundred km a week. My total distance walked as of today corresponds to more than two and a half times the length of a walk around the earth's equator and it’s more than a quarter of the distance between the earth and the moon. Imagine that during your lifetime you could actually walk to the moon! 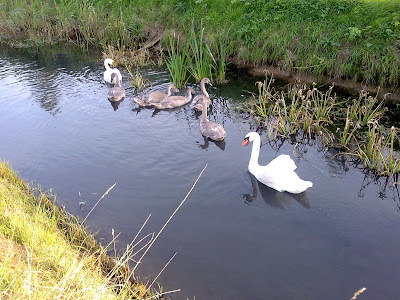 I have documented, and keep updating, my walking history on a weekly basis on my walking page. Many people find it difficult to believe that it is possible for ordinary people to do what I have been doing over the past 20 years. The simple truth is that it is not difficult at all once you have made the decision to get going. If you are totally unaccustomed to walking you may want to set yourself a lower standard initially, lower than the one I adopted 20 years ago after I had been walking for several months in a less controlled fashion. You’ll soon discover that you want to improve on your initial target. Just try and experience the benefit. Pedometers don't cost much. The good ones are surprisingly accurate. The one shown in the picture is what I am currently using. It can be connected via a USB port to a computer, allowing its contents to be downloaded from time to time for the purpose of record keeping and analysis. It's the kind of feedback you need to stay on track. But who has the time to walk 15 km a day? Well, everyone. It's a matter of priorities. Look, for instance, at how much time one may spend on daily errands while driving around, including ending up in traffic jams and struggling to find a convenient parking spot. Many of the trips we undertake by car are to destinations only a few miles away. Such distances can easily be walked. Or, taking another example, consider the time spent sitting in front of a TV screen, mostly out of habit rather than based on motivated choices. It's my experience of the past 20 years that, all in all, my predilection for walking hasn't cost me a minute. Rather, it is far more likely that I gained years in terms of meaningful life experience. I know no better way than walking to relax the body and give the mind a chance to get fully and creatively engaged. Not long ago I received medical advice to undergo a complex surgical procedure to correct a birth defect I had been aware of for the past 18 years. I'm a perfectly healthy person otherwise, and even the congenital insufficiency of which I had been told I suffer doesn't really affect me in my daily life. However, if I don't act now I may still feel perfectly healthy for a couple more years, but it won't last for ever and things will likely start gradually deteriorating in the longer run, affecting my overall fitness and eventually seriously reducing my functionality. I could wait and undergo the operation later, perhaps several years in the future, but I will be older and perhaps less healthy by then, meaning that there will be a greater risk. The average success rate of the operation is 98%. I accepted the medical advice, and the odds of success, and will undergo the operation now--that is to say in the near future--rather than later, but it made me think. Life is a risky business. The Austrian painter Egon Schiele lived from 1890 to 1918. Many of the works he produced during the 28 years of his life can be seen in the Leopold Museum in Vienna. 'Entschwebung' (see above) is one of them. It was painted in 1915. According to the description that accompanies the displayed work in the museum, "a partially withered meadow, which symbolizes the world, is the backdrop to the act of dying of two individuals. The lower figure still touches the ground with his feet, but his legs are about to give way. The top figure is dead, he levitates." As one grows older, 'learning to live'--the theme of this brief reflection--turns increasingly into the challenge of learning to live comfortably with the end of life in mind. My feet still touch the ground, quite firmly actually, but thoughts about that margin of two percent of unsuccessful operations enhance perceptions of the odds of life. At any age, life is already often a balancing act of weighing the risks now against potential opportunities later. Relative certainty regarding life's affordances in the short run are balanced against the greater uncertainty of what can potentially be achieved in a longer term perspective. But the older one grows, the more limited the overall time span becomes in which short and long term considerations must be accommodated, until, eventually, the distinction starts disappearing altogether. By then, the transition between still touching the ground and already levitating becomes a smooth one. In recent days, the Learning Development Institute has started organizing so-called Lakeside Conversations. 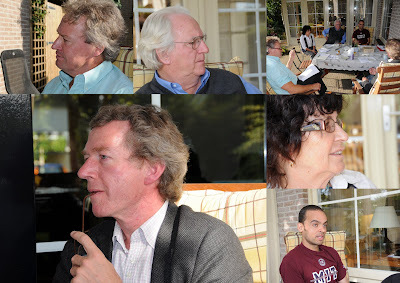 These dialogic events are being hosted by Lya and Jan Visser on behalf of the Institute. Following is a brief description of what these conversations entail. Here is what we have in mind with the Lakeside Conversations. The Learning Development Institute has, over the ten years of its existence, organized transdisciplinary dialogue that usually involved groups of participants of several tens to more than a hundred people at a time. Examples are the debates on the Meaning of Learning (MOL), those around the Book of Problems (BOP) or concerning the Building of the Scientific Mind (BtSM). Traces of these past events can be found in various locations on the Web site of the Learning Development Institute. On an on-and-off basis, we have also opened our house to receive guests from the LDI community or sympathetic to LDI's mission and had very interesting conversations with them. 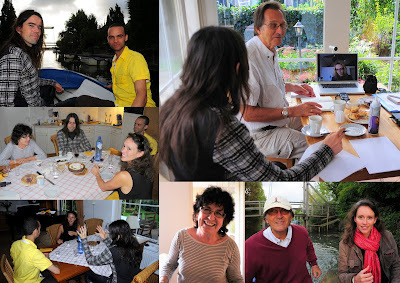 Based on that valuable experience, we have now decided to become more proactive in this area and, still on an ad hoc basis, wish to host, whenever the opportunity arises, conversations about things that matter at one of the places where we regularly live in southern France and The Netherlands, or even where we may be traveling, such as in South Florida. These events are called Lakeside Conversations or, in French, Conversations au bord du lac, not only because of the setting of where we spend part of our time in the Low Countries, literally in the immediate vicinity of a small lake, called Lingemeer (Lake Linge), but also inspired by the opening lines of a poem written in 1820 by Alphonse de Lamartine. single day in the ocean of time? Click here for the full translation of this beautiful poem. We are glad that these localized meetings have a much smaller ecological footprint than the larger ones we will continue to organize from time to time. Typically, these events take place around dishes and glasses whose delicious, refreshing and uplifting contents we share as much as the thoughts, ideas and experiences we bring to the table. While, by nature of these events, participation is by invitation, anyone is welcome to indicate their interest in participating by writing to us. In other words, if you are part of the LDI community, i.e., if you have ever seriously collaborated with us on implementing LDI's mission, don't hesitate to be in touch if you happen to be in or to be traveling to The Netherlands or France or any of those multiple other places where we may be, because we stay never very long anywhere. We shall be happy to host you, as many of you have experienced in the past, and invite, whenever possible, like minded spirits to cast their anchor at the same place, so that we can all share thoughts, food and drinks. In the spirit of social networking, those invited are welcome to suggests others whom they feel should join the party. This may include joining at a distance via some form of teleconferencing, such as by using Skype video or audio, via telephone, or employing a video link using the H.323 standard. Here is what we like the Lakeside Conversations to focus on. We feel that there is no shortage of issues that serve as food for thought. Some of them may be related to LDI's current work in the areas of Building the Scientific Mind (BtSM) and Learning for Sustainable Futures (LfSF). However, we are naturally also open to any suggestions. Over time, we assume some workable process will emerge to ensure that matters of discussion reflect the interests of the community of those who participate in these conversations, while at the same time serving to propel LDI's work forward. They may well turn out to fall in line with Christopher Phillips's ideas of the Socrates Café. Just as a start, during the past three weeks we had conversations about the development of Basic Books in Science for the Life Sciences (Sept 2, 2009); Collective Intelligence (Sept 13, 2009); and Learning for Sustainable Futures (Sept 17, 2009). No more than a start, but the success of these initial Lakeside Conversations and the enthusiasm they generated among those who participated, encourages us to continue to develop this model further. To stay tuned join the Facebook page of the Learning Development Institute, which will announce forthcoming events whenever they are being planned long enough in advance, or check out regularly the Web site of the Learning Development Institute. In The Future of Education: Reimagining Our Schools from the Ground Up, Kieran Egan refers to education as "the process in which we maximize the tool kit we individually take from the external storehouse of culture" (p. 40). I take the term 'education' to comprise any kind of learning, whether deliberately self-chosen, culturally expected, state enforced or facilitated, or accidentally engaged in. Egan's affirmation then makes sense. The accelerated evolution of our species at its current stage of development is to a much greater extent determined by our ability to interact with the cultural legacy to which our ancestors contributed than by the genomic heritage they left behind. This sets us apart from any other species in the animal kingdom. It is the reason why the particular development our brains have undergone is the greatest gift we owe to evolution. The tools Egan refers to are cognitive tools, the kind of mental faculties that "enable the brains to do cultural work" (p. 40). In fact, they are themselves part of the cultural heritage of humankind. One acquires the tools and the abilities associated with their usage by interacting with that cultural heritage. Hence Egan's above cited notion of education. He identifies these tools in the context of five different kinds of understanding, i.e., somatic, mythic, romantic, philosophical, and ironic understanding. The table below provides a quick overview of these five kinds of understanding. A much more elaborate rationale can be found in Chapter 3 of Egan's book. We develop the cognitive tools in these five domains successively as we grow more mature in our understanding of the world. However, as we become mentally more sophisticated, we mustn't throw out prior ways of understanding as we develop the cognitive tools associated with new ways of understanding. As we progress through life we need them all. We must keep the prior tools in our tool kits as we are continually in need of understanding the world in complex ways and from multiple perspectives. Egan's idea of 'cognitive tools that allow the brains to do cultural work' leading to different kinds of understanding is based on a conception of the mind as "an ambivalent thing, made up of culture drawn from outside the organism and of cognition within" (p. 84). It creates a framework for thinking about educational reform based on a scheme that "combines epistemological, psychological and emotional characteristics together" (p. 84). Egan uses that scheme in the second half of the book in which he describes a history of the future of education on earth from 2010 to 2060 in five ten-year intervals from the perspective of a fictitious researcher coming from a planet outside our own solar system. This is an interesting way to test the ideas developed in the first part of the book by means of a thought experiment regarding how the world would change if such ideas were put into practice in such a way as to avoid that they would be rejected. After all, many good ideas get rejected as soon as it comes to implementing them in settings that are impervious to change, as both traditionalist and progressivist educational environments tend to be. Depending on one's attitude towards anything Utopian, one may variously like the description that ensues. I, for one, was more enthralled by what I read in the first part of the book than by my subsequent exposure to the road to Utopia. The more ideal the world of education became as the story of the future enfolded in Egan's book, the more uncomfortable I felt with the impending state of perfection and the gradual disappearance of problems. Would there be anything left after 2060 that one might want to meaningfully engage in to further improve the world and the human condition? No doubt, interesting food for thought! 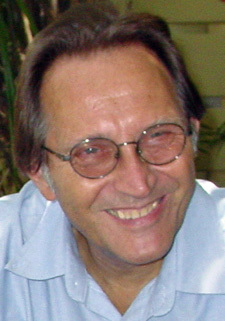 Egan, K. (2008). The Future of Education: Reimagining Our Schools from the Ground Up. New Haven and London: Yale University Press. I could not recall having ever heard of Atiq Rahimi when a friend of mine in nearby Avignon, whom I visited the other day, told me about a book he had just read that he felt I shouldn't fail reading myself as well. The scanty details he provided about the story itself were unconvincing, but something in his voice that words cannot describe told me that I had no choice but buying the book. So, back at home, already past midnight, I ordered the book online and found it in the mail two days later. Another three days and I had read the book. Atiq Rahimi is an Afghan novelist and filmmaker, exiled in Paris, France, whose previous work was written in Farsi. Singué sabour - Pierre de patience (not translated into English yet, as far as I know) is his first novel directly written in French. It landed him the prestigious Prix Goncourt, an honor rarely bestowed on other than French nationals. Rahimi writes a powerful prose. Low impact short sentences that together create a cumulative effect that is different from, but not less potent than some of the famous opening lines known from the literature that resonate in the mind long after they have been read. In a short opening paragraph Rahimi leads his readers into a room that will be the setting for most of what happens as the story unfolds. Its various features are painted with broad strokes of the brush. The second paragraph focuses the readers’ attention on a man’s photo portrait in that same room, which is otherwise devoid of ornaments. In the third paragraph the camera pans to a man, lying on a mattress against a wall opposite the photograph. The same man as the one depicted in the portrait, but older now and exhausted. In the fourth paragraph we see the man being nursed by a woman, his wife. We gradually learn that the man is a fighter with some religious cause. Nothing out of the ordinary in a country like Afghanistan, where most people adhere to some religious cause and a fair proportion of the men translate such adherence into violent opposition to those who share different convictions. It so happens that he got wounded, can no longer move or speak, and is being kept alive thanks to the care of the woman. In the course of the events the woman becomes convinced that the man listens to her and can understand her, despite the fact that he cannot speak or emit any signal that would show comprehension. But any such proof is not really what she is looking for. According to a Persian myth there exists a magic stone, the ‘patience stone’ (syngué sabour), that you need merely put in front of you to entrust to it all your misery and suffering. The stone will, like a sponge, absorb it all until, one day, it bursts into pieces. On that day you will be relieved. The man having become the woman’s singué sabour, the novel turns into a monologue that the reader overhears. The monologue reflects some of the specificity of the man-woman relationships as they are embedded in Afghan culture. However, that cultural context is only the setting that one may expect to be the natural choice of a writer who grew up in it. The reader does not have to be familiar with that particular culture to absorb and process the messages contained in the monologue. The book is a small miracle of transcultural communication about the intertwined, connected, yet separate worlds of male and female human existence--full of complexity, pain, and occasional tenderness and beauty. There is much to be learned from imbibing this monologue, whether you are a man or a woman. What follows is the only slightly edited text of a contribution I made yesterday (January 13, 2009) to a discussion on the LearningSocietiesConference list. In what I write I make reference to thoughts expressed by two other list members. As the list is for members only, I quote below two fragments taken from posts by Khalida Qattash and Katrien Dupont. Nobody, 'cause you're not Gazan! Could we send action pamflets around somehow to distribute the message that the war is over and people WILL have to live together always ? Maybe this way everyone starts to believe peace is possible !! . . . .What if a soldier entered and you started hugging him massively telling him the war is over ? There's nothing crazy enough to try if it lights up a spark in his/her soul. Just never let yours die !!! For peace ! Following is my own contribution that I was encouraged to share with a wider audience via this blog. These are hard times for those who want to retain a useful balance between emotions and considered argumentation. I have a special relationship with the lasting conflict in the Middle East and its immediate background. Here is what explains that relationship. I was a child during the Second World War and grew up amidst the ruins of what was left of the city of Rotterdam after it had been destroyed on May 14, 1940, by what was then considered unprecedented massive bombardment during the first days of the German invasion of The Netherlands. Our house stood at the perimeter of the wasteland that remained. As a child I witnessed the atrocities of war, saw my Jewish neighbors, among which a girl roughly my age, being deported to never come back; I saw my father being taken away and was glad to see him reappear seven or eight months later after the war had ended; I vividly recall the sound of the blast when one of Werner von Braun’s missiles, destined for London, didn’t make it to there but hit Rotterdam instead, a few streets away from where we lived; and I can still access imagery stored in my neural network of planes in the sky overhead engaging in air combat with shrapnel dropping all around us. I also witnessed reconstruction and reconciliation in the years following the war. It’s difficult to erase childhood memories, but one can learn to live with them and love and appreciate former enemies. It was a good preparation for later in life as I lived through a couple of other wars and forms of violent conflict, often feeling morally and emotionally associated with those who committed violence against violent oppression. The liberation struggles in Southern Africa are the setting of that experience. I became the mature adult that I believe I now am while living between 1971 and 1993 in that part of the world, almost 13 years of which during ugly armed conflict, fomented largely by foreign interests and financing, in Mozambique, as well as being in relatively close touch with the anti-apartheid struggle in South Africa, many of whose principal actors operated at that time from within Mozambique. Palestine is in between the above experiences. I was a molecular biophysicist in the mid-1960’s. Molecular biology was still an emerging scientific field under development at but a few places around the world: Cambridge, London, Paris, Uppsala, Haifa, Rehoboth are some of those that come to mind. I ended up spending a year at the Theoretical Chemistry Department at the Technion in Haifa as a research fellow, having been awarded a prestigious scholarship to do so. My perceptions of the state of Israel were naïve when I accepted the offer. They were influenced by how the creation of that state had been depicted in Western Europe (still from a perspective that perceived colonization as something quite normal) and the pain that never disappears of having witnessed the slaughter of one’s fellow human beings, particularly those with which one holds relationships of proximity as those that exist between children who live in the same street and play together. Against that background the survival of a people destined to be totally exterminated by means not at all remote from those that industrial societies invent and develop to advance their capitalistic goals, was--and still is--reason for joy. It was reason for joy to me. We had no money and the only way to reach Haifa from where we lived in The Netherlands was to drive there by car. On the way we had a bad car accident just outside Aleppo, Syria, where we consequently had to stay for several weeks before continuing our journey. It was the beginning of an eye-opening experience. Through conversations with the people we met we became aware of alternative perceptions and realities. Uninterested in politics then I had never heard the name of Balfour and discovered, feeling ashamed to be so ignorant, that any school kid in Syria knew that name (school knowledge of course, probably not very profound, perhaps even with strong elements of indoctrination, but it contrasted with my own total ignorance). Life in Israel at that time wasn’t as bad as it is now. It was still before the 5th of June 1967, the time when things started changing quite dramatically (in my view and that of others I’ve read about it). Discussions were open and enlightened, at least in the circles in which I moved among my Israeli colleagues. But I also moved in parallel circles, those of the Arab citizens living inside Israel’s borders. Among them was the poet Samih Al-Qasim. Conversations with Samih opened my eyes further, awoke in me the recognition that, though I don’t like politics, I couldn’t ignore political realities, and through him I got to know others. I was still in Haifa when sirens sounded again. It had been some time since the war of my childhood. I was still in bed when we heard the sound. During at least a month prior to it I had witnessed and become irritated by the psychological build-up to a war that was still to happen but had meanwhile been firmly implanted in the minds of people. Days prior to the event I had been attending a lecture by a visiting Israeli scientist who bid farewell to us, the audience, with the words: “See you after the war.” Rather than joining the people we heard rushing down the stairs of the apartment building where we occupied two rooms and a kitchen at the top, we stayed in bed, annoyed, waiting for things to happen that never happened. Stupid, perhaps, but that’s what we did. In fact, what happened, we soon found out, happened across the borders. I stayed in Israel during the six days of that short war that many in Europe applauded while it filled me with sadness. Those six days seemed to have changed the minds of many of my Israeli friends and the colleagues with whom I closely collaborated on scientific matters. I stayed for another month before returning to Europe. When I finally left, Samih said: “I hope to see you again in better circumstances.” In 1973 we met again in Jerusalem. He repeated the same words. You don’t have to be a poet for those words to become an integral part of your continuous discourse. Any Palestinian will likely feel that way and so will many other people on this planet. In fact, I think any Israeli in his or her right mind should feel that way as well. Surely, I feel that way when I think of the many people I have met in the countries and territories whose history and current realities have been marked by events that should have never happened. Yet they happened. Anyone can become a victim. Anyone can become an oppressor. Those who have once been victims seem more apt turning themselves into the opposite; adopting the logic of those at whose hands they once suffered. The arrow of time points in one direction only. It’s forward. You can’t undo history. We are all the product of injustices to which our ancestors fell victim or of which they were the perpetrators, or both. After the apartheid regime finally ended in South Africa, the parties to the conflict of the past subjected themselves to a process of unearthing truths and reconciling what had seemed impossible to reconcile. It’s an encouraging example of what can be done. Somehow the madness must stop. While the conflict still rages, we must be clear and lucid in condemning the crimes that are being perpetrated, in the first place to avoid that they will happen again. We must understand the past and recognize what went wrong (Khalida’s point--well taken), not in an effort to point fingers at those who did it, but trying to comprehend fully the picture we are looking at. From that perspective we must not look back, and certainly not look back with a view to reconstituting the conditions of the past, which has never been a great success, the creation of the state of Israel perhaps being an enlightening example, in retrospect, of what should not have been done. We must look forward imaginatively and creatively, envisioning new futures (Katrien’s point--equally well taken). Surely, such futures are futures of peace. That’s why I like Katrien’s bold idea to just waking the world up to an awareness of ‘Hey, the war is over.’ This may be difficult for those Gazans who have become ‘condemned, tracked and raided nobodies’ (Khalida’s poetic words). It’s the gruesome luck of us who have been spared that condition that we are still somebody, perhaps feeling a sense of guilt because we are so much more fortunate, but, as we are not yet ourselves buried under the rubble we are the ones who can help clear the mess and collectively construct new ways forward. I’m using the word ‘rubble’ literally, as I watch the events in Gaza unfold on my TV screen, and figuratively. What I have learned is that you are under the rubble both while you are dominating others and while you are being dominated. There are people ‘not under the rubble,’ ‘non-Gazans’ in the figurative sense, in the camp of those who are being dominated as well as among the dominators. In addition, there are lots such people not party to the conflict in the immediate sense, though we are all somehow connected to it by varying degrees of association. It helps if those not under the rubble get to know each other better. That’s what I find significant and encouraging in reading the correspondence between Katrien and Khalida. Allow me to join you. "How does it feel to be seventy? ", she asked me. It was only one day after I had started out on the eighth decade of my life. Two days earlier she had herself reached the age of ten. My brief answer to her question was: "Well, the same as yesterday, I presume." Yet, in a culture in which perceptions of quantity are profoundly conditioned by the long-term use of the decimal system, it is only natural that the passage from one decade of one's life to the next does not go unnoticed. When ten years earlier I turned sixty and now that I recently turned seventy, both occasions were celebrated by surprise parties at which friends and relatives felt they should express their thoughts and feelings to me, some of them clearly taking the opportunity to briefly reflect on the fact that they, too, were advancing surprisingly faster than they realized on their trajectory through life, and ultimately to its end. The Merriam-Webster Online Dictionary defines 'coming of age' as the "attainment of prominence, respectability, recognition, or maturity." The expression is normally used to indicate the stage of becoming an accepted member of the community of adults, someone who can be held accountable for what he or she does. Rites of passage of some sort are frequently associated with reaching this stage. However, from the perspective of the growing individual, coming of age never really stops and no particular passage can be universally seen as more relevant or important than another as the continually transforming power of learning impacts differentially on each of us depending on who we are as well as on the highly varied circumstances of our evolving existence. For me, I recognize several stages in how I have perceived life as it evolved. Those stages are not very clearly linked to a particular age bracket. Rather, the next stage grows out of the previous one, but does so quite rapidly, it seems. Thus, there was an early period when my queries about what it meant to be dead (a relevant question when you want to know what it means to be alive) were met by my mother with the response that this wasn't an issue for me. Death was too far away to be a relevant concern. She would tell me when it would become relevant. Yet, I grew up in an environment where religious convictions held it that there would be life after death and it was thus perfectly natural for a small child like me, who is being told such stories, to be inquisitive about the transition from this life to what is supposed to follow. While my mother's answer did not satisfy my curiosity, I guess it led me to develop an initial perspective on life as something more or less indefinitely long. However, as I grew up during the Second World War, death was never far away. In fact, I witnessed the disappearance of people in my environment from a very early age onward. It didn't take long for death to become a recognized fact of life. Yet, what I assume is the biology of growth of a young organism--even in the circumstances of deprivation and destruction that characterized those war years--seemed to prevent me from seeing death as a possible part of my own life. Death was what happened to others. My role in life was to live. The thought that one does something with one's life came later, somewhere during adolescence. It's the time when life starts becoming defined by its pursuits. The prospect of death is there, but pursuits take precedence. Besides, much more still lies ahead than what came before. Moreover, what came before looks like eternity. The beginning of it has left no conscious trace in memory. One looks back to a point that vanishes in time. Comparatively, what lies ahead is an equally undefined trajectory the end of which is similarly marked by oblivion. It roughly took me until the age of sixty before the thought that life has an end had become a pervasive element of my day-to-day experience and my thinking about the future--my future, the future that was still in my hands. A new phase in life took shape, one that centered on ideas like completion and reflection. At seventy I am still very much in the middle of that phase. I revisited and continue to revisit the things that were important to me in the past. I join them together, making them interact, allowing them to acquire new meaning in the present day context. I'm also thinking about how to leave and what to leave behind when time comes to go. Not that I think the end is near, but the reality of an end has become sufficiently manifest that I feel this phase in life is also characterized by urgency. Particularly, I am trying to discover ways to let my personal learning journey become an integrated part of the learning that others, who will survive me, will then still engage in for some time. Hopefully they will take similar care for ensuring the sustainability of the learning ecology as generation upon generation of humans partakes in it. I just read Yasmina Khadra's book L'attentat, published in 2005 by Éditions Julliard in Paris, France (an English translation with the title The Attack is foreseen to come out in May 2006). I finished the 268 pages in less than two days. The book ranks in my appreciation among the best I've come across over the many years I have been reading novels, which, I must mention, I choose selectively as I am a slow reader. Yasmina Khadra (whose real name is Mohammed Moulessehoul) has the kind of imaginative mind that also characterizes writers such as Gabriel García Márquez, Italo Calvino, and John Coetzee. While the reader progresses through the book an ever more intricate picture emerges of a reality that has no explanation in any single kind of logic. The more one advances, the more one becomes aware of the painful yet beautiful complexities of life and the realization that one reconciles with life's perpetual onslaught on life ultimately only in death. Does it matter that the story is set in the Middle East and thus includes some of the ingredients that link it in our mind to the generalized anxiety generated by such highly publicized events as 9/11 and the bombings in Madrid and London? I don't think so. The ability to engage in incomprehensible acts of violence is not new to the world. It existed long before 9/11, Abu Ghraib and Guantánamo. We readily take incomprehensible violence for granted when it can somehow be embedded in the dominant discourses of the group to which we pertain ourselves and get confused and disturbed when it is part of the discourse of another community. The strength of Khadra’s literary creation is that there is no attempt in L’attentat to explain, categorically condemn or justify anything. The book refrains from demarcating good and evil, even though some of the most horrific human made events and circumstances provide the setting for the protagonist’s quest to comprehend. This book is a welcome antithesis to some current trends to explain the complexities of the present day world away in terms of simplistic notions such as the clash of civilizations and cultures, or by dividing the world up in spheres of good and evil. In this book everything is human--and that isn't always entirely easy, but it’s real. Books like Khadra’s L‘attentat, García Márquez’s Cien años de soledad (Hundred years of solitude), Calvino’s Se una notte d'inverno un viaggiatore (If in a winter’s night a traveler), or Coetzee’s Life and times of Michael K leave permanent marks in the mind in the form of complex images that are open-ended. It is this complex open-endedness that allows such marks in the mind to serve as architectural landmarks in building the mind’s capacity to interact with the world from perspectives that are increasingly more complex and eco-self-organizing, a term I borrow from Edgar Morin (see e.g. Introduction á la pensée complexe, Paris, Éditions du Seuil, 2005). For such complex images to take hold in the mind in an eco-self-organizing manner one must be emotionally prepared to receive and integrate them. When that happens, learning will be profound. It goes without saying that such deep learning can only take place under condition of non-coerciveness. To school, or not to school: is that the question? I have a kind of love-hate relationship with the school. Having spent significant parts of my life in school settings (from kindergarten to postgraduate level; as student, teacher and administrator), I owe some of my best and some of my worst experiences to the school. If given the opportunity, much can easily be improved. In fact, on various occasions did I take such opportunities or did opportunities accidentally come my way. My experience is that in such cases most of what was needed to generate the desired improvements was simply the willingness to take a step back from past - institutionalized - positions and collaboratively create an environment of trust. The rest then followed. Unfortunately, few institutionalized school environments are based on trust (for an exception see some of the experience reported at http://adec.edu.au/idec/idec-2006/) and more than just trust may be needed for still more fundamental changes. Thus, I am currently and for the next two weeks facilitating an online dialogue on the question in the title of this post. It’s a question regarding the two options, or any mix of those options, and a question regarding the question itself. Is the first question relevant? If so, why - and what does it lead to? If not, what other or additional questions must be asked? More about the dialogue can be found at http://www.learndev.org/ToSchoolOrNotToSchool.html. At the same URL there is also a link to a two-page introductory statement that aims at serving as a prompt for the discussion. Besides, details are available about how to access and/or participate in the dialogue, which runs until April 27, 2006.